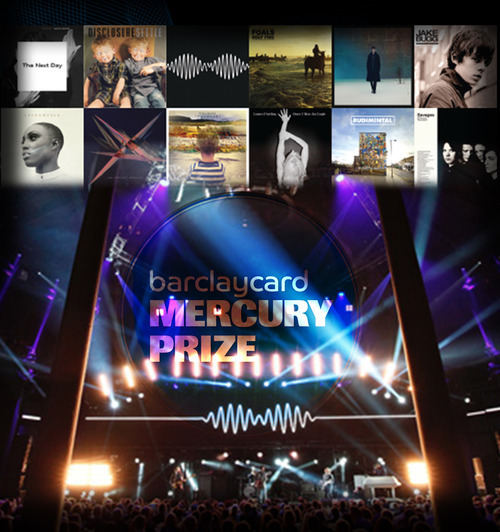 This october I was shortlisted to work behind the scenes at the Barclaycard Mercury Prize (Wednesday 30th October 2013). After an interview with the core delivery team and partners, I was selected as one of the two Music Potential graduates to take part in the project. It was a phenomenal opportunity. Impressed by my experience working on various IITS and Music Potential projects they crafted me a specific role within the production team that allowed me to gain a greater insight into what goes into an event of such magnitude. They booked me for the build and break down period too, so I not only saw but contributed towards both of these aspects. I was put in charge of the communications unit for the duration of the working period, this was quite a big responsibility as without comms, no one could communicate with each other! Through the experience I improved my managerial skills and was able to contribute to the smooth running and delegation required to pull off a successful show. Looking forward to the next challenge and the return of Music Potential in 2014. Have a look below for a short interview with myself and fellow MP teamster Shahlaa talking a little about the experience. Big shout out to Music Potential, Kaja Jarosz from Barclaycard and Mercury for hooking us up with such a fantastic opportunity! !